I'm not one to rave about skincare - it takes a lot to impress me, and a lot of the skincare products I try don't even end up getting a mention on the blog as I tend not to waste my time writing about products that don't work for me. So, nobody's more surprised than I am that I'm about to tell you that just one brand is currently dominating my night-time skincare routine, and I'm loving it. The brand is Jurlique and the range is called Herbal Recovery. As a brand Jurlique is all about the science of nature - their products are developed with pure and potent organic ingredients for healthy and beautiful skin - it's the leading skincare brand in Australia. I was sent a selection from the Herbal Recovery range after explaining that my skin concerns were both oily and dehydrated patches as well as anti-ageing. 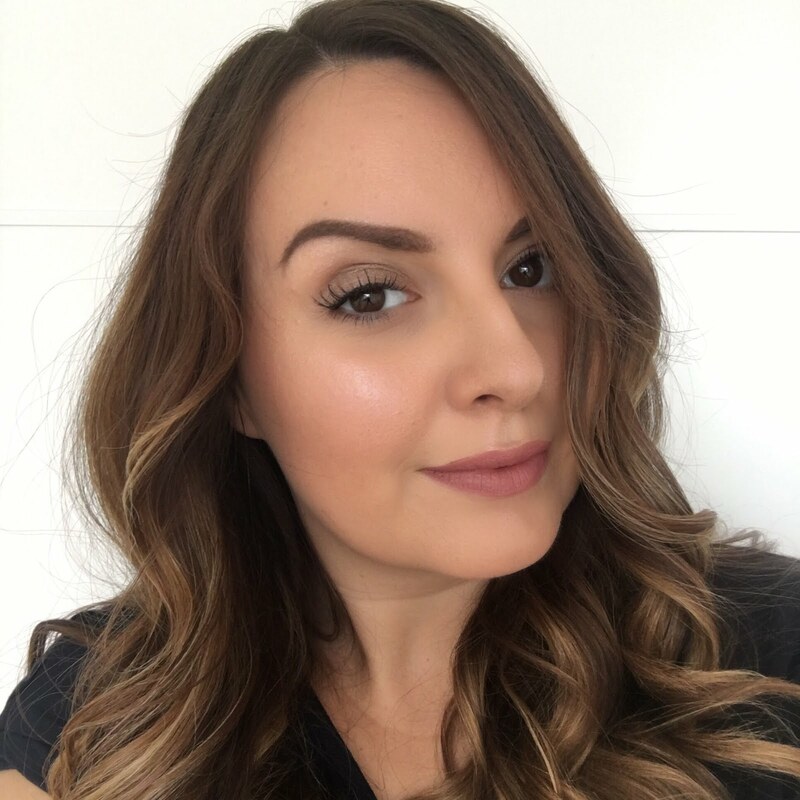 I think all of the products I've been using can be used both morning or night, but for me they've slipped straight in to my night-time routine and they're working perfectly so far. The reason I'm so uncharacteristically gushy about the herbal recovery range is because these products are such a treat to use at bedtime. I'm terribly lazy when it comes to taking my makeup off and slathering on the all important night-time products to help my skin repair and regenerate while I sleep - seriously it takes all the willpower I have not to just crawl into bed with my panda eyes. From the first time I used the antioxidant face oil I knew I was looking forward to the next night so that I could use it again! The *antioxidant face oil is my favourite product in this range - I'm not one for indulging in spas and facials and all that jazz (in truth I don't like strangers touching me) but I like to imagine that a facial would be about as amazing as it feels to apply this gorgeous smelling oil. Since getting over my phobia of putting oil products on my oily skin a year or two ago, I've become a bit of an oil junky. Cleansing oils, face oils, bath oils, body oils, I'm all over them. The face oil feels amazing to apply and I've really been taking my time pressing it in to my skin (yep I even followed the instructions) and enjoying the beautiful fragrance (it's a mixture of oils including grape seed, avocado, rose canina fruit and flower extracts, but it smells very similar to neroli to me). The oil is designed to smooth those pesky lines as well as restoring luminosity and deeply moisturising the skin. I'm not sure I'm ready to put an oil on my skin in the morning before makeup - I still can't get my head around that being okay - but if I man up any time soon I might try it with this face oil, because then I'd get to enjoy it twice per day. I've been starting the routine (after cleansing) with the antioxidant face oil and following with the *Herbal Recovery eye cream which has a lovely creamy consistency and just the right amount of richness. It's not too light to make me think it won't do a great job, but it also sinks in quickly. I've tried this one both in the morning and at night actually. It's too early for me to be sure if I'm benefiting from its firmness improving and brightening properties but I'm holding out hope, as it's a really lovely cream to apply. After eye cream I move on to the *Herbal Recovery gel. This is a wonderfully light but hydrating gel product - it glides onto my skin and it's lovely and cooling. I'm not sure if I should be following up with a moisturiser or night cream after this product, but seeing as I have quite oily skin, this has felt like just the right amount of moisture for me. I've been using a moisturising night mask throughout the winter months, but now that the weather's changed and my skin doesn't need that anymore, this feels like a perfect replacement. This gel contains powerful antioxidants, botanicals and plant oils and it aims to reduce fine lines as well as dryness and dullness whilst increasing hydration, elasticity and radiance - pretty much exactly what my skin needs. Just a word of warning - keep this one well away from your eyes - I've found it can sting a little if I get it too close as it's quite a potent product. And the final step in my slightly indulgent new night-time routine is the Herbal Recovery mist - it's the kind of product that lazy me (you know her, the one who crawls to bed with panda eyes) might deem unnecessary at first glance, but having used it I really like it and it adds to the sense of pampering. The spray is cooling and fresh and it adds an extra spritz of hydration. I think I'm going to start using this in the morning too as it's nice and refreshing - it would be good to help wake the skin up in the morning and add a little much needed radiance! So there you have it, my first foray into the world of Jurlique and I can't speak highly enough of these products so far. I'm also really taken with the clean and simple packaging and I'm tempted to hoard those pretty boxes with the dainty botanical prints. I've also just started trying out a day cream from the Herbal Recovery range, so I'll update you on that one soon. Jurlique is towards the middle to higher end skincare price range, but I've been really impressed with the Herbal recovery range and I can see myself making a purchase when I run out - especially of the antioxidant face oil. You can find the full Herbal Recovery range (which also includes a night cream, neck serum and more) here at Jurlique.co.uk as well as their ranges for other skintypes. Have you tried anything from Jurlique? Awesome review and these products sounds amazing! I need a new bedtime routine, off to have a little spend now!